Travel scams and tourist traps are the most common travel scams around and even if you can’t always avoid getting scammed by a witty thief, you can keep your eyes open and avoid some of the more commonly used tricks. These are some of the more and less common travel scams you might encounter during your travels and how to avoid them. When you encounter a money travel scam we haven’t listed yet, please let us know in the comment section below! If it sounds too good to be true, it always is! When other vendors charge a lot more for a specific item and it looks like you hit the jackpot when you find the same item for a quarter of the price, the item is probably fake or stolen. It might be a nice thought to get the product you desire for a lot less money and it might not matter when you’re shopping for cheap souvenirs. 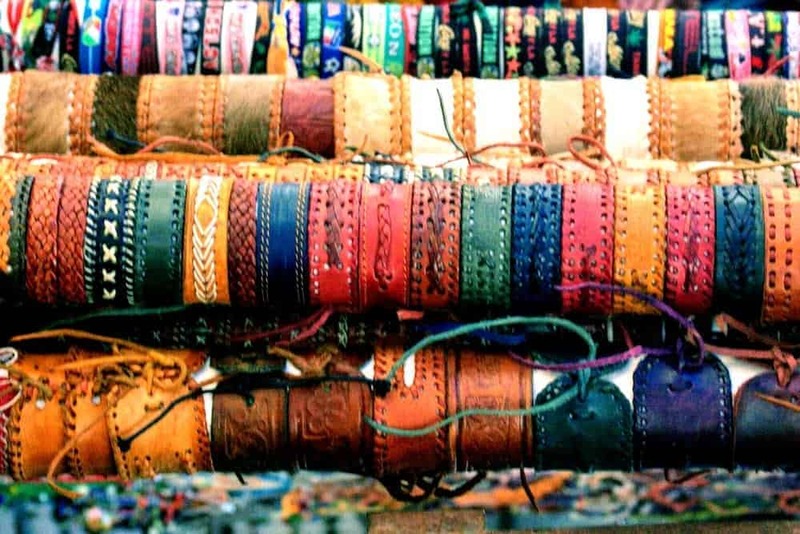 The friendship bracelet scam is very common in touristy places. The vendor will lure you into some sort of show where he/she braids a bracelet right onto your wrist. It will be quite tight and difficult to remove at once. After braiding and knotting it, the price will be mentioned. Usually, it will be almost impossible to get the bracelet off without damaging it. After wriggling it for a bit, you’ll feel obliged to pay for the bracelet in order to continue your journey and to avoid further trouble. Or for that matter: anything that goes straight to your body and is stuck. Who doesn’t like a good deal and getting a product for half the price the other vendors charge? If you don’t mind getting fake items, good for you. But if it’s a Persian tapestry you’re buying, beware of fake goods that are just too cheap. If it looks to good to be true, it usually is. Buying fake goods can be a huge problem when trying to board a plane afterward. In many countries, it’s illegal to ship fake items. So you might just as well lose them before you board or after a police check in your new destination. 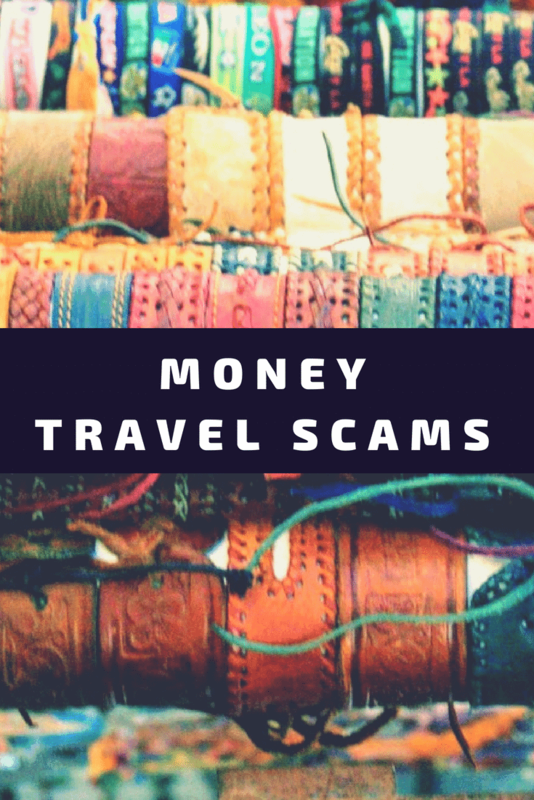 When crossing borders and adapting to new currencies, travelers are exposed to a lot of possible scams and vulnerable to money travel scams. Most people need some time to adapt to the new counting system when the new currency has a different worth than the previous one. Changing money at border crossings is never a great idea because the exchange rate is usually horrible. You need to pay close attention to the guys who change your money. Border crossing money exchanges hold more risk than changing money at an official change office. Actually, border crossing exchange offers a lot of chances for tricks and theft. These are the most common travel scams used when exchanging money. After setting the exchange rate. And after establishing the amount of money you should get for your cash, the exchange guy will prepare a small package of money to hand over to you. It happened to us before that one or more of the notes had been folded in order to count double. The exchange guy will show you the money and count it before your eyes while holding onto it tightly. You can count with him to ensure you’re getting the right amount? But because one or more notes double folded, this note will be counted twice. You end up get less money than you should get. Count the money again as soon as you get it into your hands. Double check for folded notes. Or don’t exchange money and get yourself a prepaid travel card. This one didn’t happen to us since we quickly learned not to change money at the border. But we’ve heard stories about this happening to other travelers. Since the new currency is actually new and unknown to you when just crossing a border, you’re not really aware of how these bills should look. Most of the times, you’ll get notes of different value and you have no idea what they should look like. So you could easily get fake money or just one real note and you wouldn’t know until you try to pay with this money. Suddenly, you get accused of using counterfeit money. This money travel scam could happen at a border crossing, but it can actually happen anywhere for that matter. This one is quite difficult to avoid. That’s why it’s one of the reasons not to change money at border crossings. One way to avoid this is to research what the money should look like. Also research about fake money in that particular destination. Look for marks and ways to ensure how to detect real and fake money. 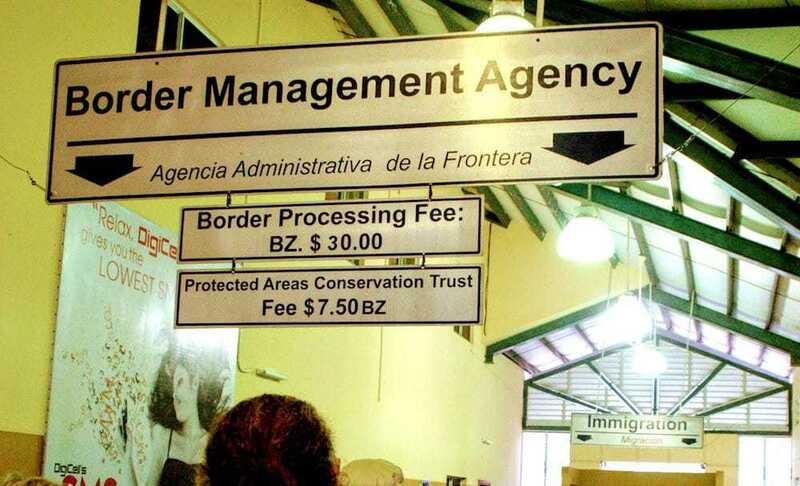 Border crossings offer the worst exchange rates ever. First of all, we don’t encourage people exchanging money at the border, ever. Unless you really need the money quickly, don’t change it at the border. If your transportation has been paid until arrival in a city, you can wait to get the new money and change it in an exchange office in a city or get money from an ATM with a prepaid travel card once you arrive. In most cases, you can still pay with the old currency far beyond the border. Don’t change your money at the border. Furthermore, pay as many goods as possible with a travel card. 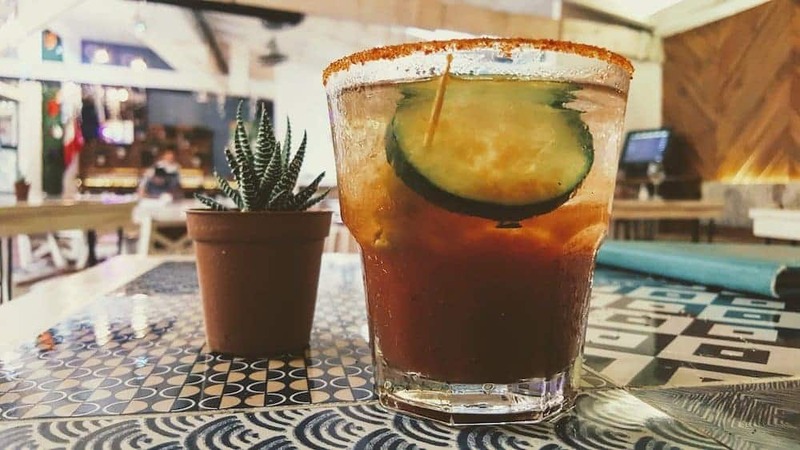 When arriving in a new country with a new currency, we always need a few moments to adapt to a new worth. We always calculate the worth of items back to the euro currency. Then we quickly try to establish a method for quick counting. When we just arrive in a new country, it’s a new counting system to get used to. So our first few transactions usually take more time for us to calculate. We had a bus station teller trying to scam us at the border in Peru, after arriving from Ecuador. The currency was different and she tried to get us to pay twice the price in US dollars. After a long night bus trip, it took me some time to discover she was charging us way too much for the next bus. Then she changed the price to the more or less right amount but gave us the wrong change. Getting scammed twice in one transaction is very possible! Beware of the worth of the new currency before you arrive. Try to establish a calculation system beforehand. A nice currency app on your phone might also do the trick! You can also pay with a travel card instead of cash. Paying for stuff in general currencies like Euro or US dollar is always more expensive than paying with the local currency. For tourists paying with a different currency, different prices count. It is always cheaper to pay with the local currency. So it’s always a good idea to change some money before you start spending it. Or you can also pay with a prepaid travel card that automatically uses the local currency. Getting the wrong change doesn’t only happen when you’re traveling. It happens everywhere, mostly by someone who just counted wrong. They don’t always mean to set you back a lot of money. Sometimes you even get too much change. 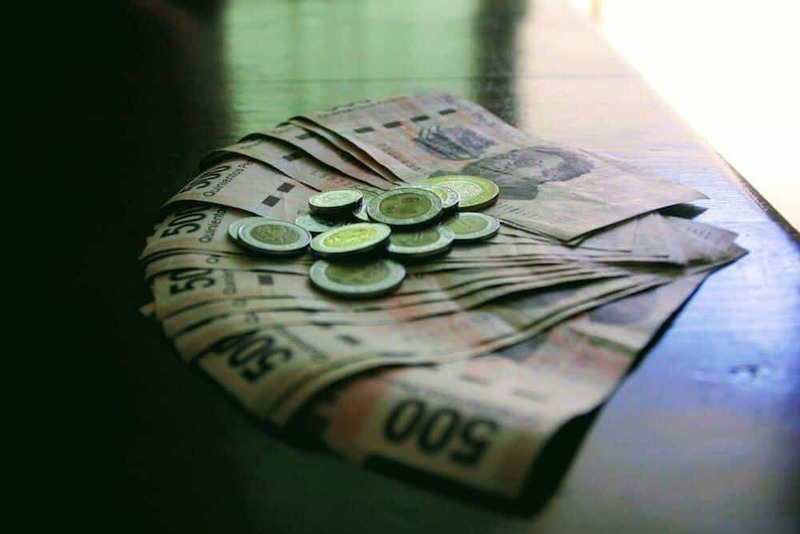 When traveling and using uncommon currencies, you should always be aware of the fact that someone might be trying to earn a few pesos, lira or other coins on your back. 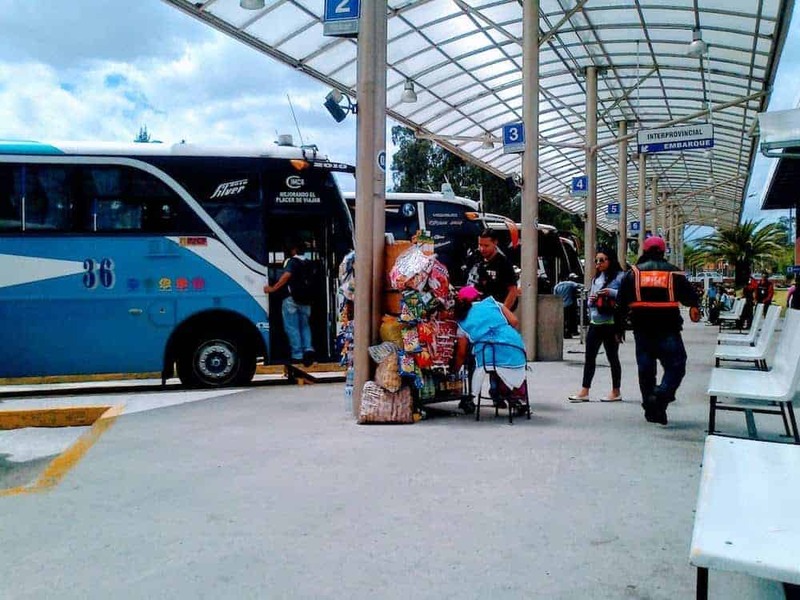 Some of the most common travel scams occur in bus stations. The employee takes their time to find your bus and state the amount to be paid. After you pay, they still stall and hesitate to give you the change for your money. All of a sudden, they say that your bus is leaving in less than a minute. So you have to run if you still want to catch it. They put some money in your hands and point you in the direction of the bus, encouraging you to run for it. No time to count your change! We were scammed like this in the bus station in Playa Del Carmen, Mexico. When we eventually got to the bus, the driver was smoking a cigarette and not even considering leaving anytime soon. Afterward, when I counted the change, it was 100 pesos short (about 5 euros). Going back to the counter is useless because they don’t remember you and you have no proof of this scam at all. Don’t let them rush you away. If you miss the bus, there will be a next one. 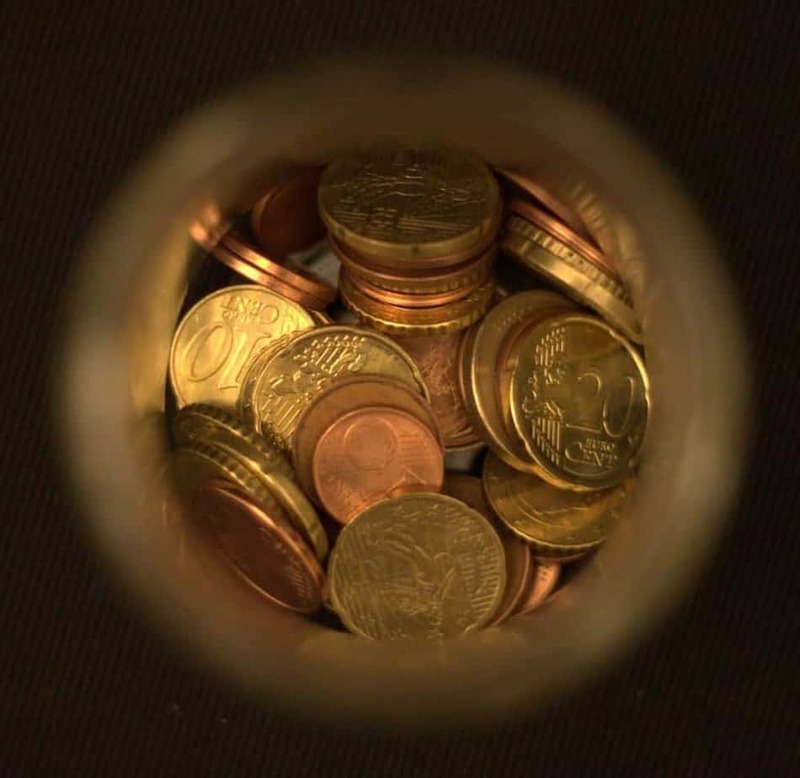 When buying goods in small shops and stores, make sure to get enough change for the amount of money you paid. Often, the vendor will make small talk and distract you while giving you your change. So you won’t take time to check what you got back. If you do count your change and notice it’s not enough, they will quickly apologize and make it look like a real misunderstanding. Don’t get caught up in friendly chit chat or do so, but always count your change! You can also avoid common scam by paying with a prepaid travel card in shops and stores. When you pay for goods with a large note, the note disappears under the counter. Then the employee will give you change to a smaller note. For instance, you pay with a 100 note. The vendor accepts the note and puts it in the register where you can’t see it anymore. Then he or she starts searching for change and gives you change for a 20 note. You then object and say you just gave a 100 note, which is nowhere to be seen. If you’re lucky, they will change their mind as soon as you object. But chances are good that the vendor keeps saying you gave a 20. Hold on to your note until you get change. Or say the worth of your note out loud. Have the vendor confirm the amount before handing over your money. Usually, when goods have a higher price, the shops do have the option to pay with your credit card or even better, your travel card. Credit card scams are developing quickly and new tricks arise every day. With the introduction of contactless payments, an entirely new set of scams have been developed. This makes it easier to steal money from your bank account without you even noticing. Paying in cash, as well as paying with a credit card, both hold risks. Therefore, it’s a good idea to be aware of the possible tricks and money travel scams. If the cashier at the store seems to be making a phone call while charging your goods, be aware of this dangerous scam. This trick was reported with the police many times and it is a pretty common trick. While seemingly on the phone, the cashier will take a picture of your credit card, making it easy to duplicate your card number and security number at the back. We haven’t encountered anything like this just yet. But while researching for this post, I found out that it happens more often than I thought. Keep an eye on your credit card when you give it to a cashier. Everyone with a smartphone or a camera can make use of this trick. If you use a secure prepaid travel credit card, you don’t need to give it to someone. Contactless payments are a blessing and a curse at once. The Contactless payment is a method of paying with your credit card or regular travel card without having to enter your pin for payments below a certain amount. Isn’t it convenient to pay small amounts without entering your pin? It is for thieves because they can just move their scanner close by your purse or wallet and you make a payment without you even noticing. Get an RFID wallet or RFID credit card protector to keep your cards safe. Turn off contactless payments in your bank account settings. Popular tourist destinations have usually offered locals a lot of time and practice to develop some interesting tricks to scam unaware tourists. 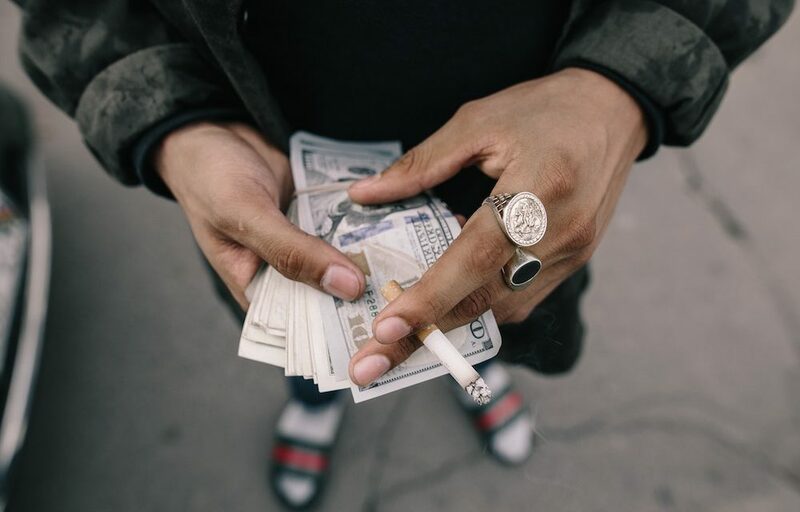 Some tricks have survived the test of time because they work so well and they’re easy to learn, like pickpocketing and other common travel money scams. Other travel money scams are new and new tricks are being invented every day. We can’t sum them all up, but be aware of the fact that you, as a tourist, might look like a walking wallet to most of the indigenous population. A lot of cities around the world attract tourists looking for ladies and locals can make use of these willing tourists. When a beautiful girl in the streets asks you to go out for a drink, she might just be scamming you. She tells you she knows a very nice bar in the neighborhood and lures you towards it. You have a nice chat, buy her a few drinks, and when the bill arrives you’re in for a few hundred euros. Apparently, the drinks she ordered are some sort of special champagne that’s quite expensive. Be careful who to buy drinks for! When someone wants to have a drink with you, let her show you the entrance to the place she wants to take you to. Then, tell her you want to go to a different place and see if she still wants to go with you. These girls usually work for a specific bar and they won’t go to a different bar with you. Another old trick from the streets is the bird poop scam. The ‘pigeon poop’ is actually some white stuff someone throws at you. While a friendly person tries to help you get the dirt off your shirt, his companion is pickpocketing you. The pigeon poop can be replaced with almost anything. Be aware of this scam! When someone starts helping you to clean up dirt that is spilled on your clothing, keep an eye on your valuables and kindly decline the helping hand. 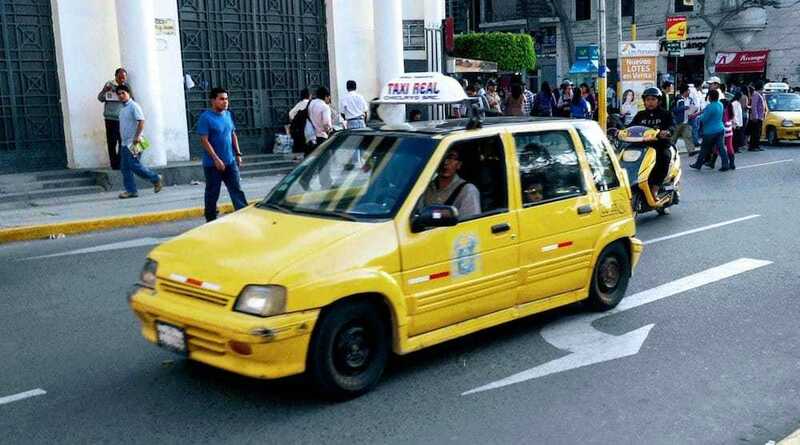 Taxi drivers worldwide have been known for scamming tourists. Mostly it’s the meter that’s broken and they tell you it’s cheaper if they don’t turn the meter on. But it’s very likely for you to end up with a huge taxi bill in the end. We always set the price before getting into a taxi. Always. Most of the time, the driver will tell us the set price for this ride. Otherwise, he will point at the meter to assure us his meter is working and it will tell us the right amount. Even if the meter is working, I still prefer setting a price before getting in. A meter is not a guarantee for paying the right amount. In many countries, taxi drivers have a button to make the meter run faster. Within minutes, the amount rises or even doubles. Always negotiate the price before leaving or make sure the meter is working. I prefer setting a price beforehand. It’s not always easy to know if the taxi you’re in is the official taxi company for a city, but if you can make sure: take the official city company taxis. Fake police officers with a flashy but fake badge sometimes approach you in the streets. They then demand to check your wallet to look for fake money or drugs. When getting your wallet back, some money is gone. A real police officer will never ask you to hand over your wallet because this is not allowed. They can ask you to show your wallet or your passport, but never to hand it over. Never hand over your wallet to anyone. Pickpockets are well known and they’re usually very good at their job. You won’t even notice someone going through your pockets. Sometimes your wallet is still in place, empty. But most of the time your wallet is gone entirely and it is dropped in a garbage bin further down the street, also empty. Keep an eye on your valuables at all times or get a money belt to store your money and credit cards. There are also RFID money belts available. Are you about to travel to an exotic destination? Maybe a city trip? Be aware of the tricks that are commonly used in the streets and keep an eye on your credit card and cash money. It’s a good idea to get the right travel insurance which covers theft and common travel scams. Were you ever scammed with a trick that we didn’t mention in this post? Let us know in the comment section and help us complete this list of travel scams! Such an important topic. Thanks for sharing.